Information systems (IS) technology has become a strategic resource for most organizations to compete successfully in today’s highly uncertain marketplace. One critical component of this strategic resource is the IS human resource. Unlike many other professions, the IS professionals historically displayed a much higher rate of turnover due to rapid technological changes, job stress and emerging employment opportunities. Such excessive turnover can be very costly to the organization in terms of costs of recruiting and re-training, and the loss of systems development productivity. Therefore, maintaining a qualified and stable body of IS staff has been continually ranked among the most important issues for the successful functioning of IS departments. 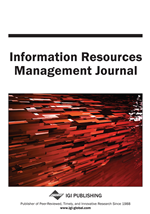 However, these important IS human resource management issues have not received enough empirical research attention within the IS management literature. The current study attempts to fill this gap by empirically examining the relationships among a set of organizational and psychological factors (i.e., management support, degree of IS control, IS strategic significance, role stressors) and the organizational commitment of IS managers. Empirical data was collected through large-scale questionnaire survey. The rigorous statistical method of LISREL path analysis was used. Results show that these variables are closely related to each other, which provides valuable insights for organizations to more effectively manage their IS human resource.